PTS Zebra (Formerly Motorola) MC9200 Rugged Barcode Kits are the next generation in the industry-leading rugged MC9000 Series, now upgraded to support your next generation mobile applications. 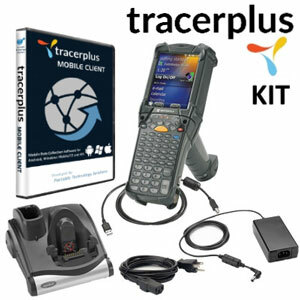 Pairing PTS' TracerPlus mobile barcode software along with ultra-rugged MC9200 barcode terminals, these MC9200 kits evolve to meet your ever changing business needs bringing you a signature rugged design, best-in-class bar code scanning options and dependable operation, increasing your workers’ productivity in the harshest environments. Use rugged MC9200 Rugged Barcode Kits for a variety of mobile applications including Order Picking, Warehouse Inventory, Work-In-Process and Asset Tracking.